The Connecticut Open tennis tournament is leaving New Haven after a 21-year run, shown in photo are Connecticut Governor Dan Malloy (2nd from left) and Connecticut Open Executive Director Ann Worcester (2nd from right) who made the announcement. HARTFORD, Conn – Professional tennis ended a 28-year run in Connecticut last week when the Tennis Foundation of Connecticut sold its Premier WTA Sanction to APG, a sports marketing and management group, that will move the Connecticut Open from New Haven to Zhengzhou City, China. Anne Worcester, a former CEO of the WTA and tournament director for 21 years, and a consultant had talked with 88 prospective title sponsors to try to keep the event alive. But they couldn’t land any company that would cover the ever-increasing costs of a top-notch event that is fully invested, creative and dedicated to the full experience with deep, deep pockets. Worcester had to scramble for sponsorships since Pilot pulled out in 2010. The Connecticut Open’s demise was the latest example of how fortunate the PGA Tour event in Connecticut is to have Travelers step up and become title sponsor of the state’s largest sporting event in 2007. Greater Hartford Jaycees officials also had to scramble to keep their event alive after Buick left in 2005, putting together a “bridge plan” to remain on the PGA Tour schedule. Those concerns ended when Travelers, a financial supporter since the tournament began at the Insurance City Open in 1952, became title sponsor and now invests more than $12 million annually. That doesn’t include funds for a new state-of-the-art practice facility, extensive course enhances and now a new 40,000-square-foot clubhouse that will be open for this year’s event at TPC River Highlands in Cromwell on June 20-23. It has led to the tournament winning numerous awards the past few years, including Tournament of the Year in 2017 and the Players Choice Award in 2017 and 2018, essentially saying it’s the golfers’ favorite place to play on tour. Professional tennis ended a 28-year run in Connecticut last week when the Tennis Foundation of Connecticut sold its Premier WTA Sanction to APG, a sports marketing and management group, that will move the Connecticut Open from New Haven to Zhengzhou City, China. There was a time when there wasn’t much of an interest gap between golf in Cromwell and tennis in New Haven, where competitors included John McEnroe, Jimmy Connors, Ivan Lendl, Boris Becker, Andre Agassi, Stefan Edberg, Michael Chang and Fairfield’s James Blake on the men’s side and Martina Navratilova, Steffi Graf, Venus Williams, Lindsay Davenport, Jennifer Capriati, Caroline Wozniaki, Simona Halep, Maria Sharapova and Petra Kvitova on the women’s side. More than 10,000 fans often visited the Connecticut Tennis Center for a single session and more than 100,000 for the week in the tournament’s heyday, but the event barely reached 50,000 total last year. Meanwhile, the Travelers Championship now usually draws more than 250,000 fans in a week after the insurance company saved the tournament from the scrapheap. 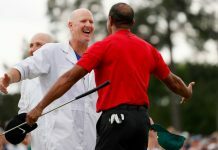 And it has reached such numbers and raised more than $40 million for local charities despite Tiger Woods never having found his way to Connecticut, even though his caddie, Joe LaCava, grew up in Newtown. Its first two commitments this year are Brooks Koepka and Justin Thomas, who are ranked No. 2 and 4 in the world. 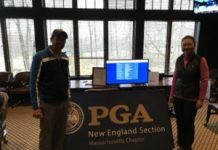 With the sale to APG, the State of Connecticut got back its $618,000 investment to keep the tournament from moving to Winston-Salem, N.C., in 2013, but there was no white knight like Travelers this year. Worcester now hopes to land a more affordable, lower-level event.